AWA hosted three contests over the three day weekend. 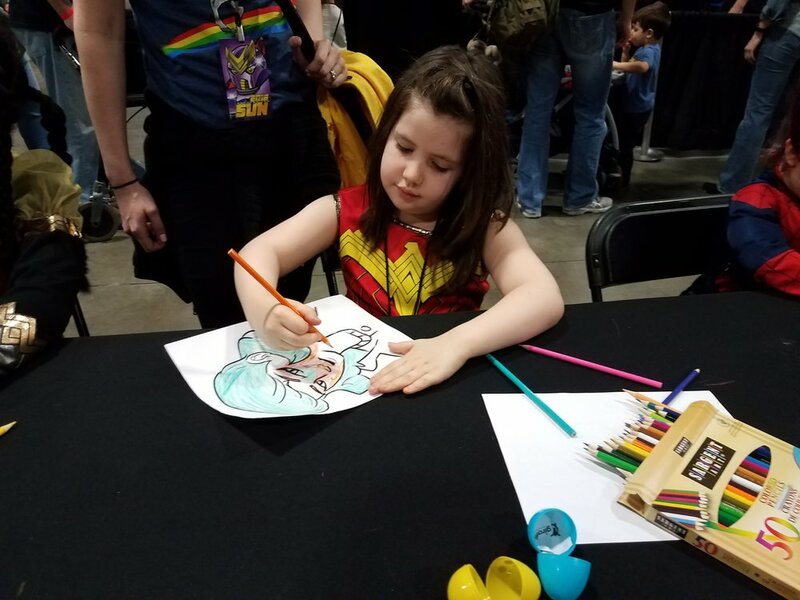 One contestant was so excited about our first event, The Original Character Design contest, that she had a friend time how long it took her to draw her character. She wanted to ensure she was finished within the 30 minute timeframe. During the second contest, the Fan Art contest, another young contestant practiced drawing on our easel for the competition while his grandmother commented on how happy she was to see Art Way Alliance in the community (and how great Artist & Craftsman DC is!). The contests themselves went incredibly well. The winner of the Original Character Design contest had an amazing character that judges could not believe came from a kid in middle school. The judges spoke with the winner for almost thirty minutes afterwards about the world this character inhabits. 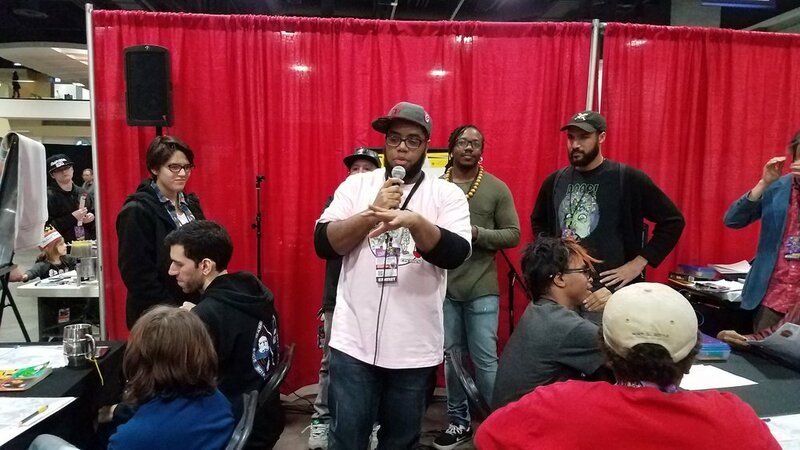 During the Fan Art Contest, AWA President Eric Suggs, Jr. stressed that utilizing references when drawing was not cheating. 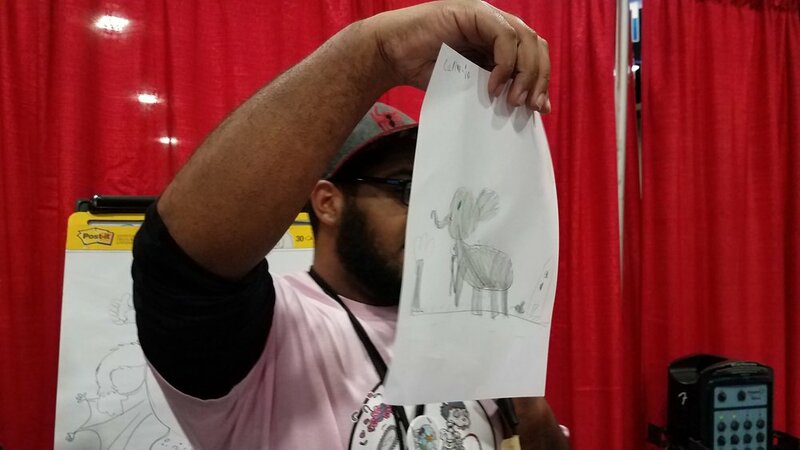 "If you're asked to draw an elephant walking down the street, you would need to use a reference!" While the contest was ongoing, a 6 year old little girl raised her hand and yelled, "I'm finished!" with her rendition of the exact drawing Eric described. The winner of the Color Contest, our final contest of the weekend, won first place for her color placement, using her color choices to create a riveting backstory for her picture. When asked to describe her character, the young girl was more than ready to supply. "She got her gold color while digging in the mountain for gold," she said with confidence, "and magical gold dust got on her and gave her powers,"
Each winner of the contest received a $100 gift card from Artist and Craftsman. 2nd Place won a $50.00 gift card from Third Eye Comics. Third place won a $25.00 gift card to Dave and Busters. We want to thank the judges for their time and the contestants for their entries! Also, thank you so much to Awesome Con for having us! We can't wait for next year!